Title: 'Marocchi Regnum'. From Atlas Minor. 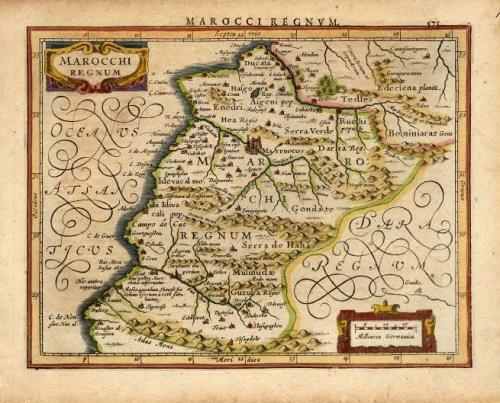 Finely engraved small map of Morocco. Latin text on verso.